I am always looking for ways to save on space, keep things organized because I have a large family and I don't like clutter. That's why I wanted to share Raynic Dual Alarm Clock FM Radio Bluetooth Speaker with all of my readers. It has so many functions but takes up a small space, awesome! Perfect for your bedside table. 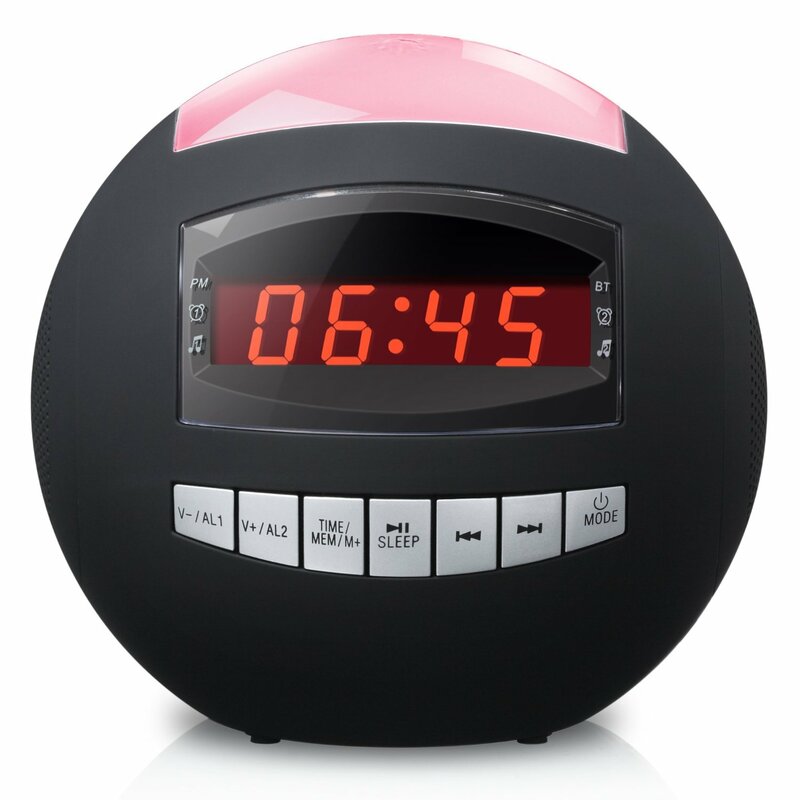 It is a programmable alarm clock, you can also program 20 FM radio stations using the buttons on the front panel. The bluetooth speaker has a range of 49 unobstructed feet from your device. It is compatible with any device with bluetooth technology. There is a hidden UBS port on the back to charge your cell phone with at night. This is not just an alarm clock, a blue tooth speaker, but also an LED night light. You can set it to change colors slowly or pick your favorite color from Oyster White, Beige, Shocking Pink,Khaki, Emerald Green, and Sky Blue. It includes a built in microphone so you can answer your cell and talk without touching your cell phone. This is a real space saver and plus it looks and sounds great!